In this talk, Jim breaks down bullying in two key elements. 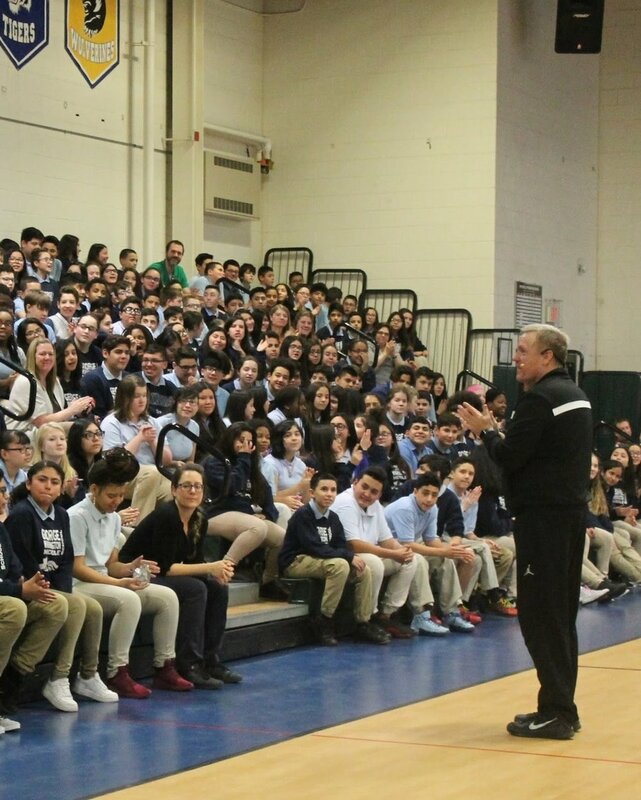 One, he encourages students to have the strength and belief in themselves not to “Surrender” their pride, self-worth nor dignity to people that bully them. Secondly, he tells stories that touch the students’ hearts so they think about how they talk to and treat others. "Our words are a reflection of who we are and we should respect ourselves to treat others with kindness." He teaches the students the importance of being an "Upstander" and not a bystander. He empowers them to have each other’s back and look out for each other. Middle school can be a challenging time in students’ life and bullying is a serious topic at schools. Many schools book Jim because he can connect with students in a fun way, but has the ability to address a serious subject with compassion and conviction. His anti-bullying presentation is powerful, uplifting and life changing.